Go to Incheon airport 12B. 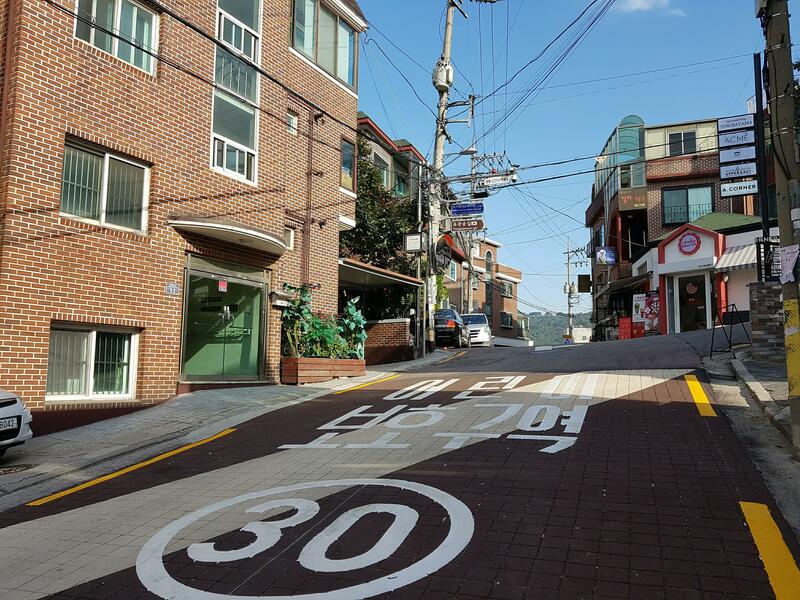 Take a bus 6002 and go to Hapjeong subway station. Take subway to Noksapeong subway station. Come out from the station using gate number 1. You'll find the pedestrian overpass on your left. Now please follow the video below to get to our house. You can find red-brick house next to Episode 85, accross the UpperEast Pizza place. You'll find it while you're heading to Cookie Monster at the top of the hill. By the way, the places I mentioned above are so awesome. After opening the building door, find door number 101. It must be on your left side. I'll let you know the password using private message. Please speak "Alexa, (pause 1 second) turn on the house." to turn lights on. You can say "Alexa, turn off the house" to turn those off. You can use livingroom, dining, and bedroom to control each light. Alexa, the speaker under the television, will understand your voice and control the lights for you. You can find the controller in bedroom. It's just next to the door. Click 난방 to turn it on. It must be turned on if you can see the word 난방 at the screen. Please turn it off before you go outside. 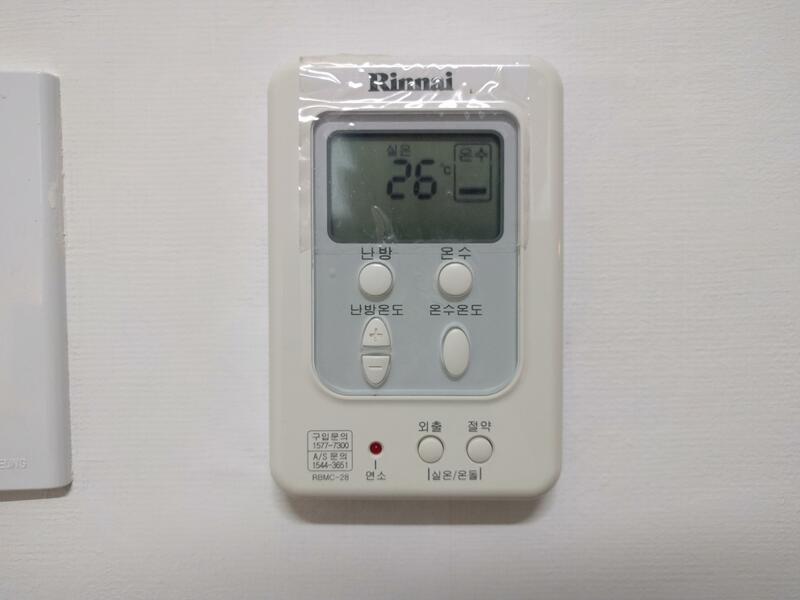 Button 온수 is for water temperature. Usually it is kept as on. Please turn it on if you cannot find the word 온수 on the screen and the water is freezing. You can find the red valve on the right side of burner. Make it vertical and turn the burner on. Please make the valve horizontal after you use it. 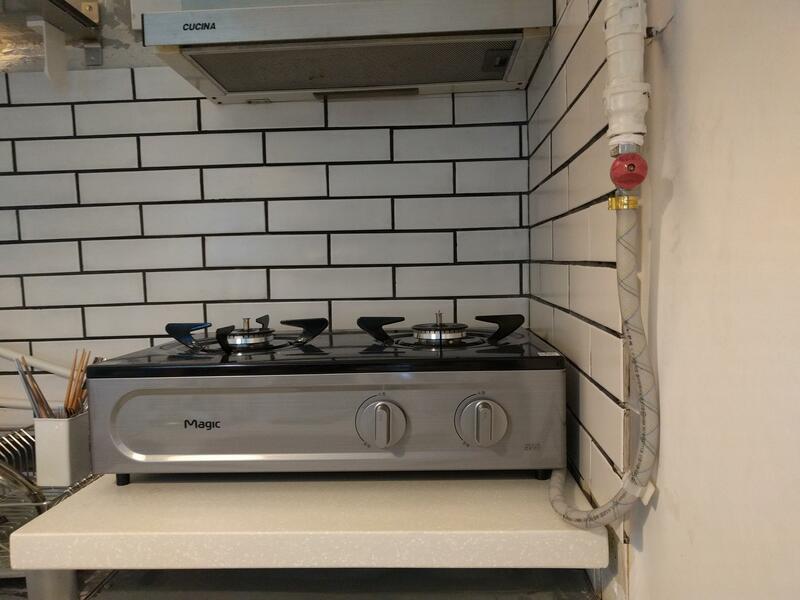 It'll be better to pull fan above the stove when you cook. keep windows closed while you are not in the house. not wear your shoes in the house. Koreans don't wear shoes in houses. Please take off you shoes before you come inside of the house and wear the in-door slippers that we prepared for you. Please keep the air clean for us and other visitors. not have crazy party at home. We have plenty of places near the house to have party. Trust us, you'll love those places. We hope you have great time :) Thanks!